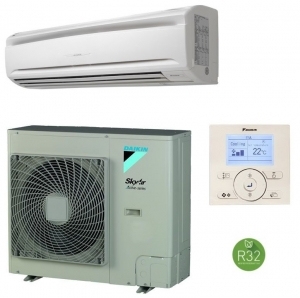 The Daikin Active range model FAA100A is the 10Kw output - 3 phase 415 volt model in this range. The Active range are ideal for commercial applications, this model can have up to 30 meters length of air conditioning pipework length giving flexibility in the siting of the outdoor condenser unit. Old refrigerant pipework can also be used with these models with the refrigerant replacement technology developed by Daikin which is incorporated in these systems.